When it comes to health, there’s nothing more fundamental than breathing. Respiratory therapists support all aspects of patients’ breathing and lung functions. Respiratory therapists work with patients to make sure they are breathing as comfortably as possible and receiving adequate oxygen… whether patients have a chronic lung disease… underdeveloped lungs at birth… or are recovering from trauma such as a heart attack or near-drowning. 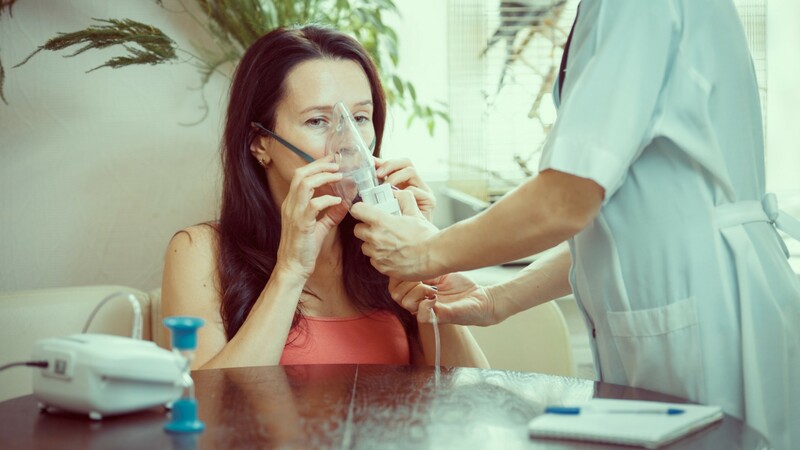 Respiratory therapists monitor and perform tests to assess patients’ lung capacity, and assist with treatments such as nebulizers -- devices that administer medications into the lungs. They also assist with placement of breathing tubes and with drawing arterial blood to assess patient oxygen levels. Most respiratory therapists work in hospitals. There, much of their time is spent operating mechanical ventilators for patients with breathing tubes. They also work in long-term care facilities. These healthcare professionals generally work full time, and may work evenings, weekends, and serve on call. Respiratory therapists generally need at least an associate’s degree in respiratory therapy, and a license to practice. Some employers prefer a bachelor’s degree. See more details at O*NET OnLine about respiratory therapy technicians. Respiratory Therapy Technicians by U.S. Department of Labor, Employment and Training Administration is licensed under a Creative Commons Attribution 4.0 International License.